Spice up your Chicago home with board and batten siding. This unique, eye-catching vertical siding is sure to improve the curb appeal of your home. There isn’t anything else like it. Board and batten siding consists of alternating width vertical boards. They alternate from a narrow width board to wider length board. The result is a visually clean and crisp look. You won’t find another type of siding with the same vertical pattern. 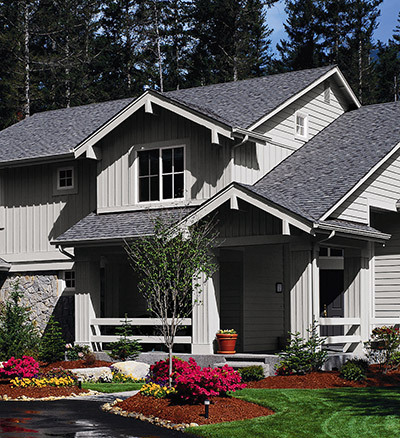 Feldco offers many different color options for board and batten siding. We’re sure to offer exactly what you’re looking for when customizing your home’s exterior. Since our board and batten siding is made from vinyl, the color is infused into it when it’s made. Your siding colors will be vibrant years after it’s installed. 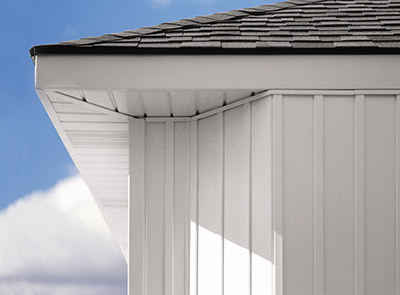 Whether it’s rain, snow, ice or wind, no Chicago weather can wear down our board and batten siding. It’s resistant to warping, rotting, cracking, swelling and expanding. Plus, you won’t have to worry about termites, like you might with wood siding. Thanks to foam insulation boards installed beneath your board and batten siding, your home will be energy efficient. The insulation prevents heat or air from escaping through the walls of your home. Not only will your home be comfortable but you’ll save money on your energy bills. The added insulation of your board and batten siding will reduce the amount of stress your furnace and air conditioner face to achieve your desired temperature. That means less power is being used and saving on your heating and cooling bills. Usually board and batten siding is used to side one wall or a section of your home but you shouldn’t feel limited. Some Chicago homeowners like to side their entire home with board and batten siding.